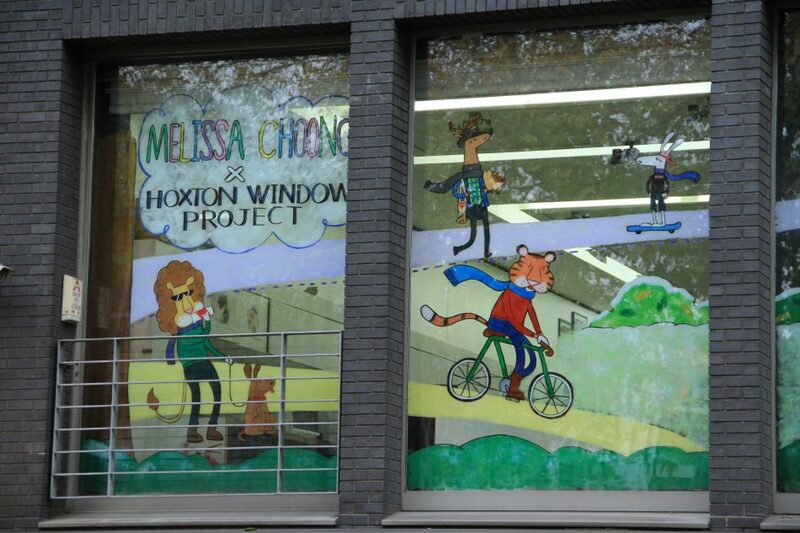 This month’s Hoxton Window Project featured illustrator and designer Melissa Choong. 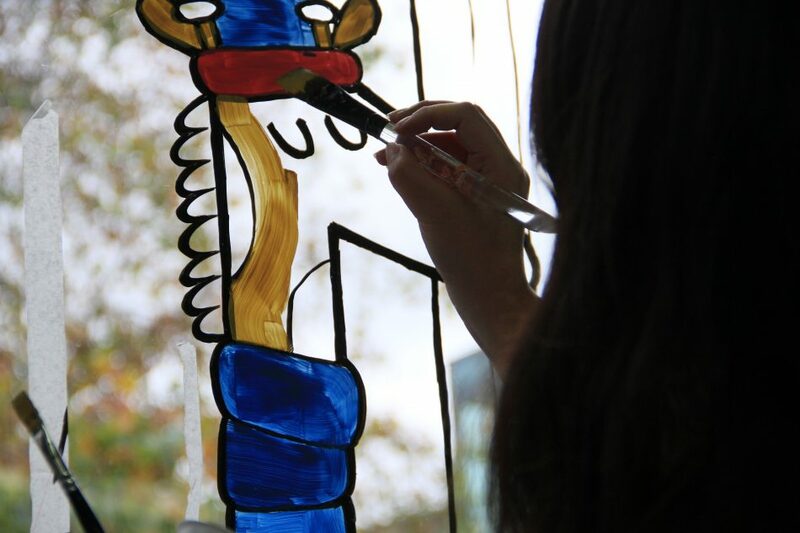 With a background in animation, she tends to draw colourful scenes featuring animals doing comical human tasks. 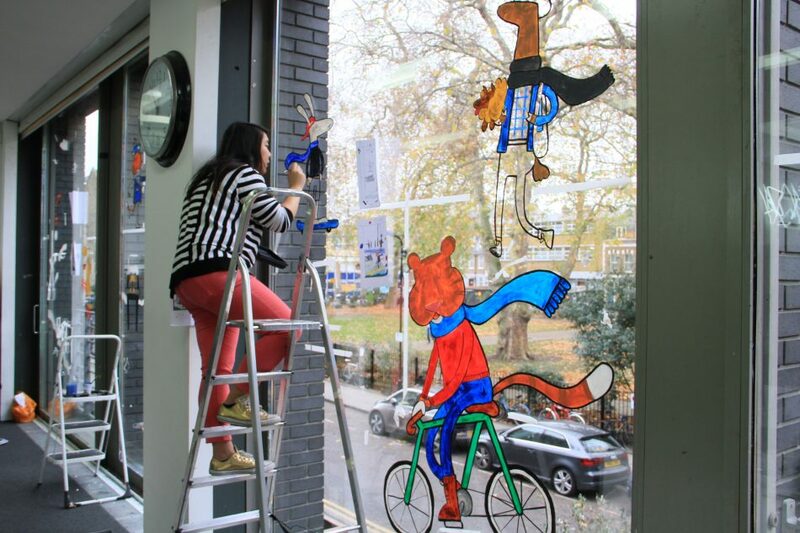 In the run-up to Christmas, Melissa covered our windows in a colourful wintery scene, with hand-drawn tigers riding bikes and horses playing in the snow. 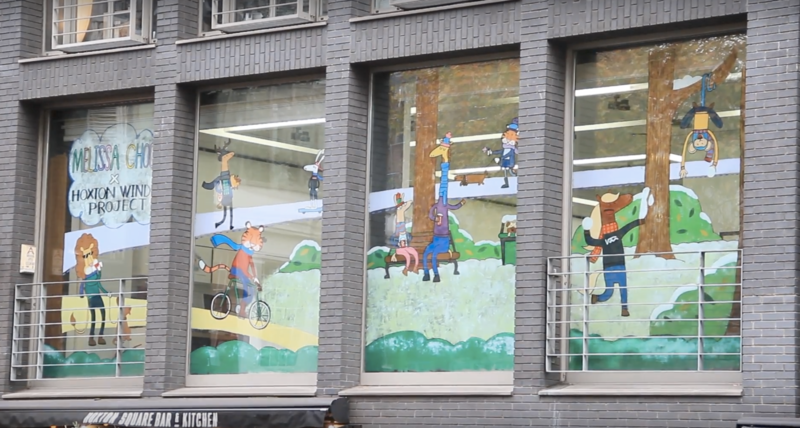 Many of her characters were dressed in clothing commonly worn by Londoners living in Shoreditch. 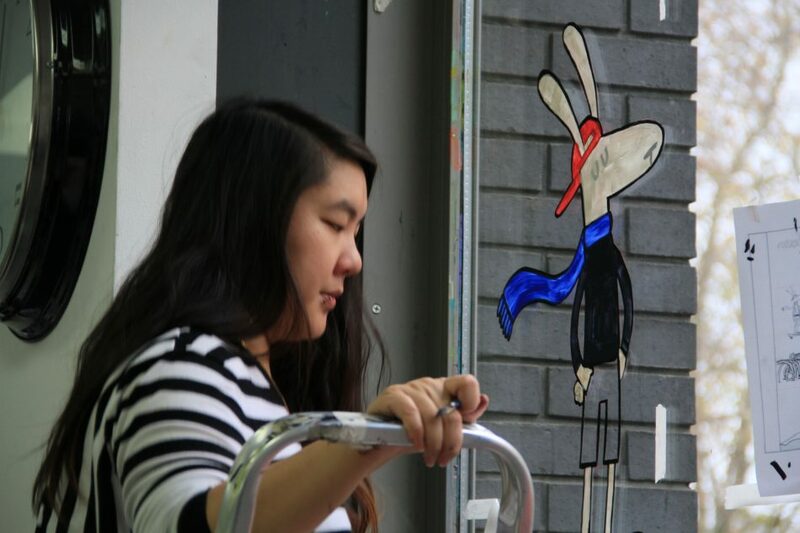 Melissa wanted her scene to inspire passersby to make up their own stories about the characters. 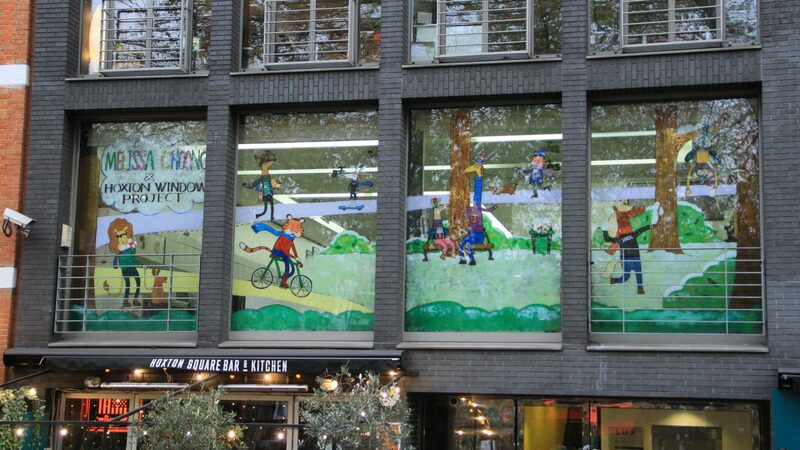 Her bright colours are a cheerful and heartwarming thing to take in during this bleak London winter!